You are currently browsing the tag archive for the ‘Nancy Ellen Hird’ tag. Use the link below to Smashwords for these editions. As a fellow team member, it is my joy to announce the publication of Nancy Ellen Hird’s first book in the –from My Edinburgh Files series. 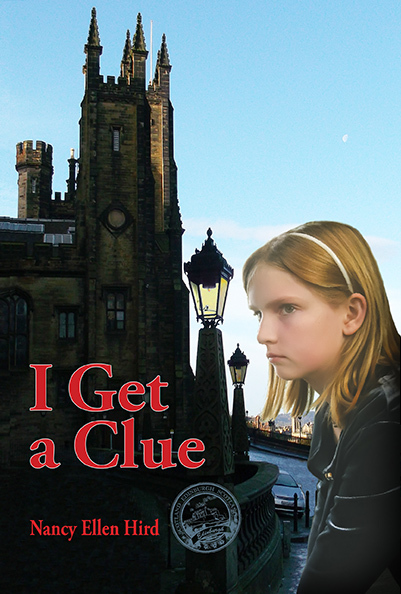 I Get a Clue is a tween mystery set in Scotland. When 11-year old Libby is “exiled” to Scotland to live with her grandmother, she resents the move. But almost from the moment she arrives, strange events captivate her attention and turn her into a junior detective. Making friends and learning truths along the way, Libby finds Edinburgh a greater adventure than she’d ever imagined. The book is a delightful page-turner for readers aged 10 to 13. It is 193 pages long and also includes thought-provoking questions at the end as well as a recipe for a summer pudding Libby eats in the story. This is a wholesome read with a contemporary, engaging voice, written for a Christian audience. You can find out more about I Get a Clue at the Desert Fires Press website or on Amazon. Donna Fujimoto is a graduate of Alliance Theological Seminary. She has published both devotionals for adults and short stories for teens. Her children love to read.